>Country Night – Will Sanjaya be sent home? 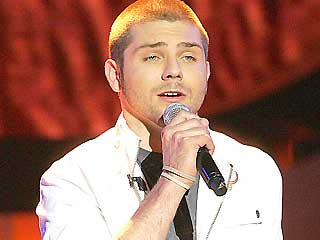 >The contestants are supposed to sing country songs – I think -. Martina McBride is here to guide them and give them advice. Phil sang first but guess what I missed his performance but my mom told me he was really great plus the judges praised him. After Stephanie Edwards was eliminated Phil became my favorite remaining contestant, he’s on the right track and hopefully he will escape the bottom three tonight. Jordin looked radiant last night I just wish she keeps on making sound wardrobe choices in the remaining weeks, the makeup was nice too, a totally good look! Remember, I’m not a Jordin fan but I have to admit that she did a really good job. No other contestant outshined her last night, not even Melinda -she reminds me of Katherine McPhee…- I still have a little problem with Jordin, she’s the only contestant I actually ‘hear’ breathing when she sings. I know that she has to breath but does she have to do it so heavily? Sanjaya had to sing right after Jordin. Until last night I wouldn’t have mind being called a Fanjaya but… it was the best performance of the night followed by the worst. 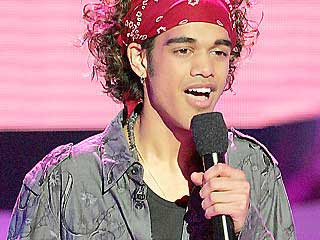 Sanjaya sang “something to talk about”, his hairdo and his outfit were two things to talk about neither one looked good on him. It’s the worst Sanjaya performance I’ve seen so far. It was a really bad song choice for his ‘type’ of voice, it’s the type of song you sing with a strong voice unless you change it into something smoother… but I digress. Now I know why so many people hate Sanjaya so much…. 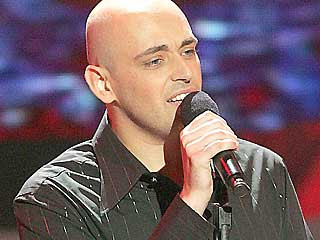 he can be really awful as far as the singing is concerned oh well maybe it was just time for him to say goodbye. The boots excepted, Lakisha’s outfit was really nice last night, even her hair – which I usually don’t like – was nice. She chose a beautiful song, and she sang it with more than her voice, just beautiful. The judges didn’t like it though but that’s their problem! Lakisha will be safe tonight. Melinda tried to look younger last night, she actually looked dressed down for the occasion. So far her [ugly] outfits never kept her from delivering high quality performances. She’s a professional, nobody is expecting any less from her. Last night was one of those nights when the judges had only praises for Melinda. Finally it was Blake’s turn. I still don’t understand why so many people like Blake. Is it the blond hair? His hairdo? Must be the clothes… Week after week after week Blake remains the same, it’s almost as if he’s singing the same song over and over again. The judges loved his performance so I guess he’s safe tonight. 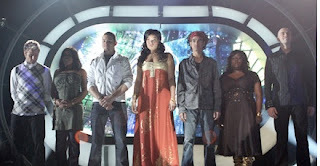 This entry was posted in American Idol, Blake Lewis, Chris Richardson, Jordin Sparks, Lakisha Jones, Melinda Doolittle, Phil Stacey, Sanjaya Malakar by admin. Bookmark the permalink.